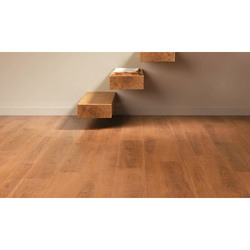 We are devoted towards trading a qualitative range of Wooden Laminated Floorings. - It is widely used in manufacturing industry, engineering industry, shopping malls and big hotels. Being an eminent organization in the industry, we are involved in providing a premium quality range of Laminated Wooden Floor. Contemporary and cosy, Green Floormax wood floors come in a wide variety of colours and textures that create an ambience like no other. The surface designs have been hand-picked in collaboration with renowned designers from Europe and crafted with a passion that reflects in the unique character of Green Floormax wood floors. We manufacture and export an extensive range of Metal Laminates to our clients. These are made up of superior quality raw material sourced from a reliable and experienced vendor. Our products are specially designed and are easy to maintain without any extra effort. We are providing our products at unique and exclusive patterns as per our client’s demand.